In the wake of the car accident that left Alexandria Chief of Police David Baker under arrest for DUI, he has officially submitted his retirement paperwork to the city. In a letter to the town manager, he announced his retirement, effectively immediately, expressing regret for the incident and pride in serving the city over a lengthy career. 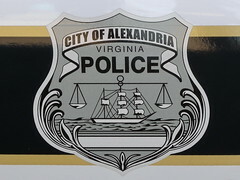 Baker started with the MPD in 1970, moving to Alexandria in 1991. Wow. I know a person who works in the department who is getting her masters in Public Admin. We were taking Ethics in Public Administration. A strong coincidence, I suppose.